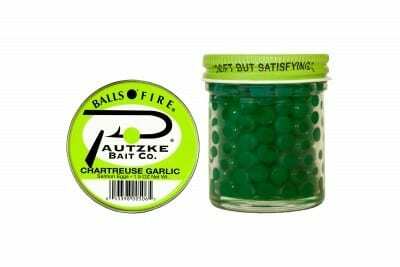 The Guide’s Choice for tying spawn sacks in the Great Lakes, British Columbia and Canada’s Lake Ontario, Pautzke’s Orange Deluxe® are one of our best multipurpose eggs and compliment it’s sister egg, the Yellow Jacket®, well. Another quality egg that bears a resemblance to natural spawn, Orange Deluxe® is comparable to brown trout, rainbow trout and steelhead eggs. Our Orange Deluxe® are manufactured to give anglers an extra edge by creating the prefect egg with an incomparable natural presentation. Superlative when faced with clear and low water or in any area where fishing pressure is high, Orange Deluxe® are prescribed for fussy trout and steelhead. 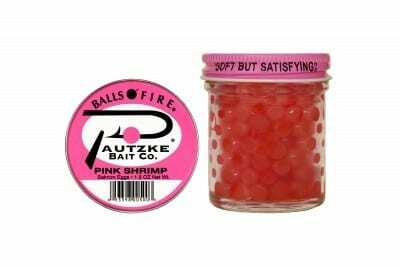 Orange Deluxe® are part of our world famous Balls O’ Fire® line and make every effort to assist anglers in presenting a more natural colored salmon egg to salmon, trout and steelhead. In reality, natural color eggs aren’t red, rather a shade of orange. Orange Deluxe® eggs are carefully cooked to emulate the natural tint that salmon, trout and steelhead eggs carry in the wild, which in part makes them so valuable. Orange Deluxe® can be pitched in brooks, streams, creeks, rivers, ponds and lakes. These eggs are just the thing for anglers targeting changing water conditions, clear water and in waters where trout aren’t keying in on Green Label® Balls O’ Fire® eggs. Orange Deluxe® eggs allow anglers to possess a complete line of eggs designed to catch trout in all conditions.